I got Eleanor a CD player for her room today, step 1 in my weaning plan. I’ll work on that…sometime soon. :) I have two different things to try. One is a “Toddler Sleepy Time” Hypnobabies track. The other is just plain, old-fashioned lullabies. I found out today that M, a friend of mine,has been diagnosed with melanoma and is going to have some kind of surgery related to that. Yet another reminder that I am not the only one with trouble in my life. I called today and got my follow-up appointment changed to Tuesday, May 7th. That way, I don’t have to wait as long (yay!) and Rusty will be able to go with me. I want him there since we will be talking about surgical stuff. I looked up oils that are supposed to be good for Hashimoto’s. Looks like lemongrass is #1, and also myrrh and frankincense. So I made myself up a little blend. I am starting to like this blending thing. I think it’s so interesting that I have been so drawn to lemongrass already—I was just telling K the other day that it was one of my favorites. There are many people who think that our noses will usually lead us to what we need most. I’ve also been thinking about what else I can do to decrease the inflammation in my body. Of course, the number one thing probably needs to be cutting out sugar. *sigh* I am NO good at that. But I have known for a long time that I needed to do it. I am able to do it for a while, and then I fall off the wagon and find it SO hard to get back on. But this is now not just a matter of diabetes prevention (which should be enough), but also taking care of my thyroid. Especially if I’m only going to have half of one. One thing I really don’t want to think about is Hurthle Cell Carcinoma. It was easier to contemplate Papillary Carcinoma cheerfully because it seemed SO curable—more like something that would change my summer than something that would change my life. Having HCC is more like having…cancer. It is harder to treat, usually resistant to RAI, and tends to metastasize to places like bone, lung, and “central nervous system.” Yuck. The good news is that it seems much more common in people older than me (and more aggressive for them, too). I hope it is just a bunch of Hurthle cells hanging out in my thyroid, just for fun. They are more the Rook-playing, movie watching crowd than the kind who go out knocking down mailboxes with baseball bats and forking people’s yards. 1—Which nodule had which diagnosis? 2—Where will the excised half of my thyroid be dissected and analyzed? 3—Why didn’t we biopsy at least the largest nodule in the left side of my thyroid? Should we do that before surgery, in case it turns out that I really do need to have my left lobe removed too? 4—If I need RAI, do they do that at our local hospital? 5—How long is recovery from surgery? More questions to follow, I am sure. Question: Why didn’t he biopsy the lump in my left lobe? Question: If I get a call from his office while Rusty is at work, and they tell me I have cancer, should I call Rusty at work to tell him that? Question: Since the local hospital appears to not have a nuclear medicine department, where would I go for RAI if I needed it? I could call and ask S, a friend who has had RAI for an over-active thyroid, but I haven’t talked with her about my thyroid issues yet, and I don’t want to be a self-indulgent, attention-grabbing drama queen. I even braved the patient website, to see if my test results showed up there, even though I told myself I do NOT want to find out I have cancer that way. Time to go make some supper. Quiche, anyone? The hens are really laying right now. Confession: I have been scouring the internet for images of thyroid nodules that “match” what I remember. I’m back to thinking I have cancer. 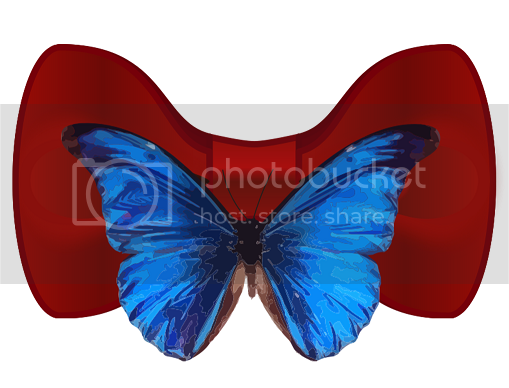 Current theory is that the lump in the front is actually a (pretracheal?) lymph node with metastasis from the “unfriendly” nodule. Except that I can’t seem to find whether pretracheal lymph nodes move when you swallow. I will be SO glad when all my speculating can be over with. Just because all the bloggers have cancer, it doesn’t mean you do, too. It’s funny. I am mentally moving away from assuming that I have cancer. I’ve been thinking a lot about why I have assumed that I do, and I think it’s because I have read several stories—both in book and blog form—of people who even after their biopsy were not really worried, because they knew that only 5% of lumps are cancerous. And then they turned out to have cancer. There need to be some stories—lots more stories—of the scenario that happens far more often—that people get their biopsy results back and find out that the lump or lumps are benign. But that story line isn’t dramatic enough to blog or write a memoir about, so it isn’t really out there. Maybe if my biopsy comes back negative for cancer, I can help fill that need. It’s Saturday. Such a beautiful, amazing Saturday. We ran to Lowe’s and got some mulch, composted cow manure—the good stuff, right?—and of course, plants. When we pulled up, Eleanor actually said, “Is this more plants, Daddy?” Smart girl. I actually did something today—I mean outside of the bare minimum house maintenance and cooking I’ve been up to lately. I weeded my porch garden. It was nice to clear out the beds, and wonderful to discover lots of earthworms in there. I’m about to go out there and plant some garlic. I also caught up this journal thing. It’s funny, because I might find out next week (I almost typed Monday, and then I stopped myself. But surely next week, right?) that I don’t have cancer at all and I have wasted all of this time obsessing and journaling and whatnot. Except that I am really glad that I have learned about thyroid cancer. It is, after all, the fastest growing cancer today. What if I am dependent upon artificial thyroid hormones, and the economy collapses, and the drug manufacturers quit making it? I know that’s far out. But it has occurred to me. I am dreading weaning Eleanor. She really likes to nurse. I have already cut out all breastfeeding except for first thing in the morning, nap time, and bedtime. I contemplated preemptively starting to wean her, but decided that I wouldn’t make a real effort unless I got a cancer diagnosis. However, once a diagnosis is made, I am going to work determinedly on it, to get it done as quickly as can be humanely done. The reason is that besides the fact that I can’t let my baby have radioactive breast milk and would have to be isolated from her for at least 10 days if I had RAI treatment, iodine collects in breast milk, and then the last thing I need is radioactive material concentrated for a long time in my breasts. Having RAI would already increase my odds of breast cancer. I don’t intend to help it along. As a newborn, my head was x-rayed a few times to make sure my skull sutures hadn’t already joined. I wonder if Dad remembers how many times. I’ve had several sets of dental x-rays, from child hood up until…the last time I went to the dentist. I can’t remember for which of these, if any, my thyroid was protected by a lead shield. I had scoliosis when I was in junior high school. I know of at least two x-rays of my spine, including my neck area, were done at that time. The irony is that I remember my doctor shielded my breasts at that time. However, since he was going for a image of my vertebrae, shielding my neck was not what he wanted to do. I was in a car wreck with a minor head injury when I was in my early twenties. I know I had at least one x-ray at that time. Dr. R, my chiropractor did x-rays when I first became his patient. I remember discussing whether it was a good idea, since I have always been against unnecessary radiation at any time. He told me that the radiation was minimal and that the x-rays were important to my treatment. I insisted he shield my ovaries, saying “All the eggs I’ll ever have are in there.” Again, getting a shot of my neck vertebrae was part of what he was trying to do, so shielding my thyroid wouldn’t have made sense. I think that’s all the x-rays of my head and/or neck area that I’ve had. One thing I’ve been thinking about is that I have no idea if my children have had their necks shielded when they’ve had dental x-rays. You had better believe that I will be super vigilant about that from now on. The waiting room at the ENT office was packed. I heard the receptionist say to someone that the wait had been running about an hour. I read some on the kindle app on my phone, having forgotten to bring the actual device. I had found a memoir called Dirty Bombshell: From Thyroid Cancer Back To Fabulous! by Lorna J Brunelle. Am I obsessed? Yes. But it’s helping me cope with my anxiety to read about people who had been through thyroid cancer and come out fine. Finally, I was called back and seated in a patient room. I started to read a little more, but then put my phone away. If Dr. B or his nurse asked what I was reading, I didn’t want to reveal I was neck-deep in thyroid cancer obsession. Instead I checked my email. I started to read from my friend T that she was having to see a rheumatologist to find out the cause of her autoimmune symptoms. And she had gotten laid off from her job unexpectedly that day! I was clearly not the only one in the world with things to worry about! My heart was racing for her and the anxiety she must be going through. At that moment a very friendly nurse came in—I wish I had gotten her name. I need to make sure I do on a future visit. She had me sit in the exam chair and said, “Let’s check your blood pressure.” She strapped on the cuff and said, “So we’re set up to do a biopsy today, right?” and gestured to a small counter that I hadn’t noticed was laid out with paper drapes, syringes, and…an emesis basin. Great! I imagine myself in that moment with my eyeballs popping out of my head like a cartoon character. “I was expecting this to just be a consultation,” I said, trying to keep the panic out of my voice. I was babbling. “I bet my blood pressure just went…” I pointed up. She looked at the meter and laughed. “Yep!” She left me alone for a moment. I looked again at the biopsy equipment, and saw an ultrasound machine right beside the chair. That made me feel better. I had decided earlier that I would only let Dr. B do my biopsy if he used ultrasound guidance. I found myself facing a window that looked out onto the parking lot and the road beyond it. I don’t want people to see me getting a needle stuck in my neck! I thought. Even though my rational brain was glad to have the process moving along, my emotions were in a tizzy. Why didn’t I make Rusty come with me? my brain screamed. I tried to call him, just to let SOMEONE know that something very important was happening! They were going to stick a needle in my neck TODAY! But he didn’t answer. I wasn’t surprised. In the spring, if the weather permitted, he is usually out in our yard, making it beautiful. I have GOT to calm down, I thought. I said a quick prayer for the Lord’s help. Then I remembered that I had put a vial of “Peaceful Child” in my purse. I gave that to J this morning! But I still had the rest of my oils. Balance. I opened the little lime green zippered case that holds my travel oils and found the bottle of Balance. I tapped some out onto my hands, and then rubbed it on the back of my neck and my wrists. I took deep breaths, inhaling the scent each time. I felt myself start to calm. As my pulse slowed to a more normal pace, I felt inclined to laugh. Since I discovered the lump on my neck, I had wanted to speed things along. Now that they were speeding, I felt hysterical! I was chuckling over this when Dr. B came in. “What’s got you laughing?” he asked good naturedly. I told him that I hadn’t been expecting a biopsy, but that I was fine with it—glad to move the process along. He took a look at my file, and gave me a chance to take a look at him. “So the ultrasound report says that one of the nodules has calcifications and posterior shadowing. We’ll take a look at it, but it sounds like it does need to be biopsied.” He stood up and started talking me through the flowchart of possibilities, all the while tucking a drape into the top of my shirt, looking in both of my ears, peering up my nose, and feeling for what I presumed were the lymph nodes on my neck. I looked up at him to respond and saw that he had the reflector flipped down over one eye to assist him in his examination. “No, but I’d love to,” I said. “Let’s take a look.” He turned the machine on and put some gel on the transducer. He ran it across my neck and looked for a minute himself. “Ok, turn you head a little this way,” he said, moving the machine more into my field of vision. “Here are the two lumps that we’re really looking at.” He moved the device around to show me the large nodule in the front of my neck, and the hidden one farther back, which had the calcifications. I wondered if the specks I was seeing would be considered “microcalcifications,” but I was afraid to ask. And it’s vascular. Not a great sign, I thought. From that point on, I expected that the biopsy would show malignancy. I knew that it might still be benign, but felt like the odds were against it. “Isn’t it weird that if it hadn’t been for the friendly one,” I pointed to the bulge in my neck, “We wouldn’t have known about the ‘worrisome’ one?” I said. I think I actually huffed. “It’s the Lord,” I said. He started getting everything set up for the biopsy. “We’re going to get samples from both of them,” he said. “How long before I hear something?” I asked—my new favorite question! “About a week. We send them to Atlanta.” He pulled out a card and stuck it in the top of my purse. “If you don’t hear something by then, shoot me an email.” He told me that if the nodules turned out benign, it was still likely that I would have to have thyroid surgery sometime, just because I had so many lumps at such a young age. “If I need a thyroidectomy, will you be the one to do it?” I asked. “There’s only one guy in Alabama who does more of them than I do,” he said, not in a boasting way, just matter-of-fact. “He’s at UAB.” That sealed it for me. This was my guy. They started to prep for the biopsy. I looked ahead, through the window, again. “Can we close the blinds?” I asked. The nurse pulled them shut without hesitation. Dr. B injected some numbing medicine into the skin on my neck. It stung. “You’re very red-headed,” he said, “So this is really going to make your neck look splotchy for a few hours.” That was the least of my worries at that moment. But I really loved how calm and straightforward he was. I am going to have to thank Dr. G for sending me here, I thought. “Ok, we’re going to get about three samples from each one. When I put this in, I need you to be very still. Don’t swallow, don’t talk.” He held the ultrasound wand in one hand and a syringe in the other. He was watching the screen. “Here we go. BE STILL.” The needle went in. It didn’t hurt, exactly, but it was the strangest sensation I had ever experienced. I could feel it inside my neck. It was all I could do to stay calm and hold myself still. He took the needle out and squirted his sample into a vial. The he repeated the procedure. At one point he nodded to his nurse, “Hard drive that.” She went over and clicked a button on the ultrasound machine. “Do you have any children?” he asked, right as he was inserting the needle for the third time. “Don’t answer that, hang on.” He withdrew the needle in a moment and I could answer. He nodded, then continued with the biopsy. “Ok, don’t talk don’t move,” he commanded, inserting the needle, now into the front nodule. I looked up at the ceiling vent and counted the louvers. After a couple more passes with the needle, he was finished. The whole thing probably hadn’t taken ten minutes. The nurse pressed a piece of cotton to my neck. “Hold this.” I obeyed. Dr. B was back in his seat, filling out the lab work instruction forms for the pathologist. “I want you back for a follow up in three weeks.” I remember him saying this, but at the time I was too foggy for me to process the meaning of his words. “You should hear something by the end of the week,” he said. That, I understood. “By the end of the week, or within a week?” I asked. I did NOT want to find myself expecting information when there was no chance of having it yet. He looked up at the ceiling, doing the calculation. I mentally noted Tuesday as the day expect results. The nurse gently pulled my hand with the cotton away to check the bleeding. It must have been fine, because she held up a band aid—a miniscule circle. I laughed. “So I get a tiny band aid?” I felt like I was going to need a huge gauze patch. “Yes,” she said kindly, sticking on one and then another. Dr. B handed me my discharge slip. “Come around here and look,” he said. He led me behind the exam chair and gently pointed me towards a mirror on the wall. “See how the medicine made your neck blanch? When you pull off your band aids, you’re going to have bull’s eyes.” I was thankful I didn’t have anywhere else to go that evening. When I walked out of the room, the nurse pointed me towards the checkout desk. As I sat down in the chair, I saw the slip of paper shaking in my hand. Yes, I was glad to have the biopsy over with, but it had rattled me. Surprise! I thought. A biopsy! “Looks like he wants you to come back in three weeks.” That was the first time it registered that I wouldn’t be back for three weeks, even though I should hear something within one. That’s how it’s going to go, I thought. 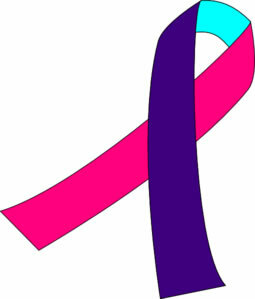 I reminded myself what I had read several places, that thyroid cancer had to be dealt with, but it wasn’t an emergency. Later I realized that she actually scheduled me for one month later—the 16th of May. At the time, I was too much in a fog to notice. I paid my copay and went home. Sure enough, when I got there, Rusty was watering some flowers he had just put in. I got out of the car. “Guess who had a biopsy today?” I said in the most cheerful voice I could muster. “Well, I wondered, since it was taking so long.” He gave me a hug. I followed him around the yard for a few minutes, chatting. Then I went inside. There was a message from S saying that she had gotten RYC applications for her kids. I thought that was a good sign—that she was probably in. But just to make sure I sent a quick email to the director of the camp, begging for information. Then I started calling the people I knew would want news. I called J. “WHAAT?!!! !” She said when I told her about my surprise biopsy. But she was glad, too, that I wouldn’t have to wait any longer than necessary. Then I called Nathan and Sarah. I filled them in, and then told Sarah that I had emailed the Rustic Youth Camp director for some answers. “I’ll go ahead and send our applications in, just in case,” she said. I called my Dad. It was good to hear that he was now walking some without a cane, and that he thought he might be done with his IV antibiotics. I called my Uncle Ken. I told him that I really wasn’t that scared of it being cancer, since it had such a good cure rate, but I was apprehensive about all the medical mayhem between diagnosis and cure—surgery, medication, radioactive iodine. He understood. I tried to call Y. I didn’t get an answer from her, so I started my text message to everyone else who was following my case, putting her at the top. A few minutes after I sent the text, I got a call from her. I am so thankful for you! I thought. I filled her in on what the ultrasound looked like, and basically repeated to her what I had said to my Uncle Ken. It was reassuring to hear the words, “I’m not really that scared of it being cancer,” coming out of my mouth. And it was true. Eleanor woke up. I went up to get her out of her bed. “I like your band aids, Mommy,” she said, pointing to my neck. “I have a band aid on my foot. I don’t have one on my neck.” I had to smile. At least I was stylish. I replied to T’s email, trying to keep my own update light by adding in the bit about Eleanor’s admiration of my bandages. Band aids are always big with the toddler set, she replied. We picked up Chinese for supper—comfort food to Rusty and me. But I knew I couldn’t keep indulging in needless expenses just because I was feeling vulnerable. I really needed to make myself stick to the same old routine until I couldn’t do it any more. All evening I got encouraging replies to the text I had sent out to my friends. Once again, so many reasons to be thankful.